Mahayana Buddhism spawned numerous sutras. Some are especially alive because they are still recited every morning after zazen - in all dojos. In this way they form an integral part of the actual practice of zen in Europe. Also called the Kesa Sutra, the Takkesa Ge is sung as a sign of veneration of the kesa, the garment of Buddha. Moreover, before putting on the kesa, one places it on top of one's head, silently reciting the Takkesa Ge three times. During sesshins this sutra is sung by everybody together, while seated, after completing the morning zazen. 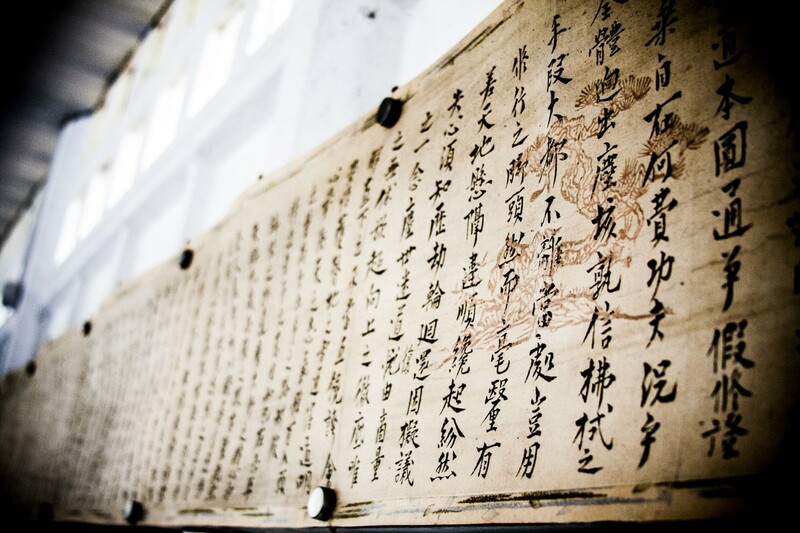 Called the Heart Sutra because it represents the heart of the great wisdom, it was written between the first and the sixth century of our era. Common to all the different forms of buddhism, it is certainly the most well known of the sutras. The bodhisattva Avalokitesvara gives teaching to Sariputra about the emptiness of every being and every object, because none of these posess a fixed or substantial character. Everything is impermanaent and exists in interdependence, not in isolation. 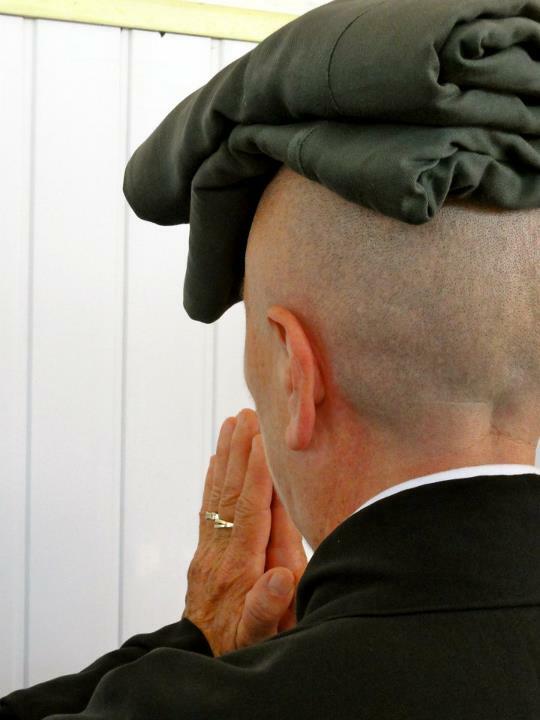 The Hannya Shingyo is always recited during the ceremony which follows zazen. This sutra is a commemoration of all the great masters mentioned. Not all the Budhhas and Patriarchs are mentioned in this brief recitation. The most important patriarchs of our Soto tradition such as Budhha, Bodhidharma, Dogen, Keisan, Kodo Sawaki, Taisen Deshimaru and Niwa Zenji are respectfully mentioned and thanked. The Eko is recited during the morning ceremony. This sutra is a universal invocation wishing that all sentient beings should awaken to the Way of the Budhha. The Fueko is recited at the time of the short evening cermeony which closes the day. This sutra, which closes the ceremony, is recited as a sign of gratitude to all the Budhhas and the Patriarchs. The Ji ho San Shi is usually accompanied by sampaï; three prostrations. 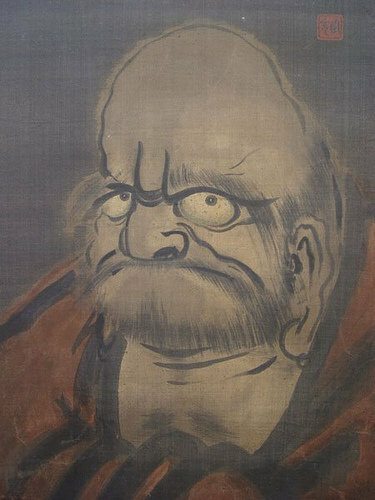 The Fukanzazengi, a sutra written by Dogen, represents the essence of the practice of zazen. The monk without homeDiscover the inalienable life Which is without going and coming, That is the practice of the Way. Then you will reach the true vision And your ego will not be a transitory self But an eternal self. As long as we do not wake up to that, It is useless to be born in this world.